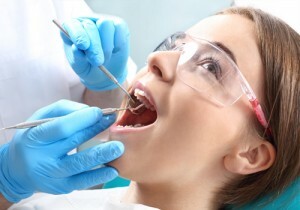 Root Canal Treatment is done when the nerve in the tooth is infected with bacteria and we don’t want to lose the tooth. This infection if left untreated causes an abscess. The infected nerve is removed from the canal that travels through the root of the tooth. The canal is cleaned and filled with a filling material. The infection clears and the tooth is restored with a filling or a crown.